Blue Polo Club | Top-Notch Cleaning, LLC. Some companies have plaques, pictures or name plates of employees that have gone far and above expectations. At Top Notch Cleaning we have the prestigious Blue Polo Club. Each Top-Notch Cleaning location will have the ability to retire the blue polo of a team member upon their leaving the company in good standing. Only a select few can earn the right to have their company polo retired. The retired blue polo’s with stains and all will hang at that particular office forever. To all Blue Polo Club Members THANK YOU for everything you have done. It has truly been an honor to work with you. 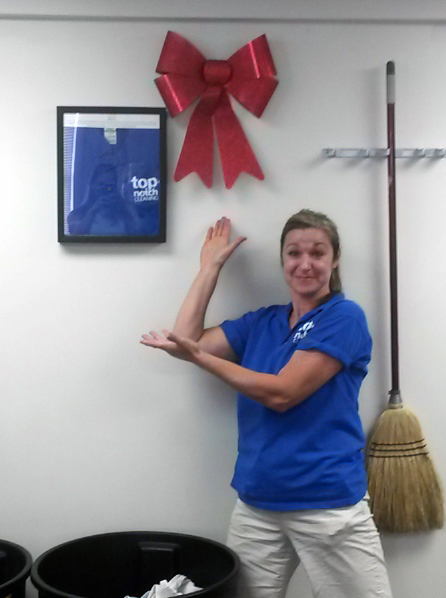 As the inaugural member of the retired Blue Polo Club Lori displayed great leadership, work ethic, loyalty and most importantly friendship in her time with Top-Notch Cleaning. Lori routinely put the company and her fellow cleaners ahead of her own well-being. 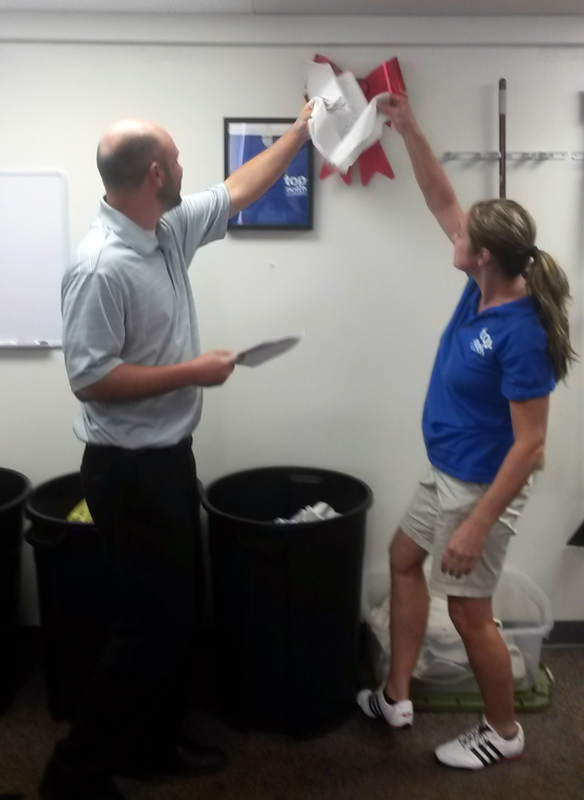 Lori Castello’s blue polo will forever be retired and hanging in the St. Clairsville OH Top-Notch Cleaning office. 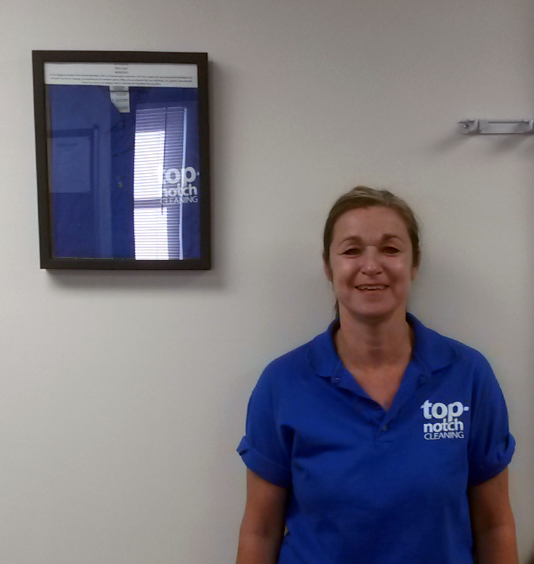 UPDATE: Lori Castello has accepted a management position with Top-Notch Cleaning. Lori has been acting in a managers role since April of 2015. We are thrilled to have her back on our team.